What a Satchel of Helpful goods should really be like. Thats a DPS Que I mocked que’d for just to see what its like on the other side of the fence – as a tank mine is practically instant. Sometimes it varies as healers seem to have availability fluctuations in lobie instances as well. The horror. Making a tank wait for a healer for a whole min. See It’s kind of unfair when chain running instances to not let the dps cycle through. You requeing with that same tank means you stay at the front of the line, and someone elses wait is a little longer. So I think of tanking a little as a community service, I am helping make your wait times shorter. Need to spread that tanking love around right? 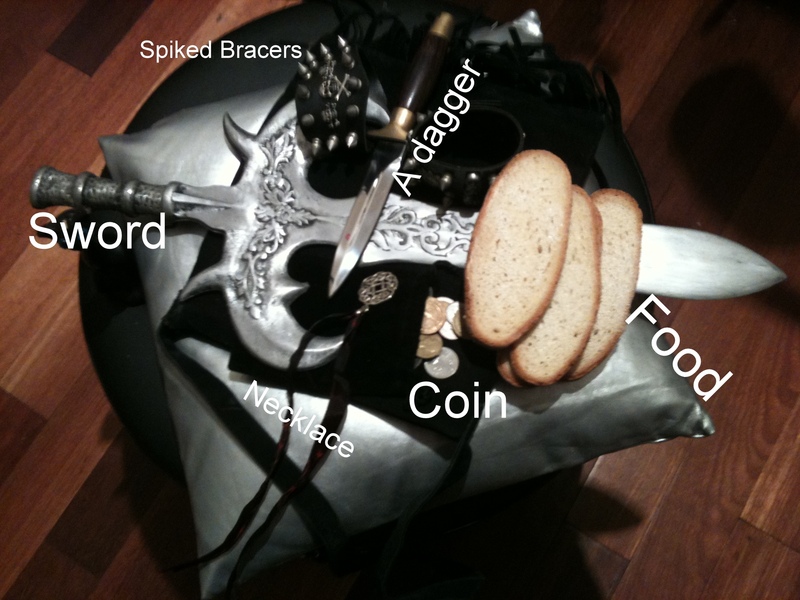 I am getting a useless collection of crap from the Satchel of Helpful goods though. I can’t seem to find a use for the Spellpower mail, or wear then more than one pair of gloves at a time. I had the same problem when I was leveling my resto/balance druid. At least four out of every five “satchel” pieces was +Agility, but I already have a level 80 feral druid. I quickly learned that rolling on drops was probably the only way to get worthwhile gear when using the dungeon finder. I’d love to see the Satchel’s drops be halfway intelligent. Ideally it would check your class (and spec) and give you something vaguely useful, but I’d settle for gear tailored to the role you queued as. It’d be kinda nice to queue as heals and know I’ll be getting a piece of gear with int on it. Stupid satchel, kept trying to convince my druid to go feral and my shammy to go enhance. I kind of think of requeueing with the same group as being a reward for not being utterly crappy. If you’re not a poisonous jerk or a melee caster I will probably run with you again (as healer). If I decline your queue invitation and send you back to the queue it’s probably because I didn’t want to be your babysitter/competency instructor any longer. A group I already know is good is better for me than a crapshoot in the dungeon finder any day, so I like that a group that works well together is rewarded with a short wait for a new instance. yeah but all it takes is one person in a group to pee me off and I won’t want to que again with them. I think the reason they don’t put mana pots and health pots is they don’t want to hurt alchemy too much. But man, do I agree with you. I haven’t gotten a SINGLE upgrade from the stachels. The current itemization would be okay IF the items were boe or at least boa. Anyhow, I will happily re-queue with a good dpser than take the risk at some poor or bad scrub. I see this as rewarding someone for playing excellently. But just like one, or 2 little pots – even with expiry dates. The BOE lobie blues still go for a lot, would have thought that would have affected the economy more. Okay, so, whine and ye shall receive. I whined and I finally got something useful out of the satchel — tanking gloves. Then I started to really think about it, there is a little golden token to this idiotic system. It’s kind of like Blizzard’s way of future-proofing itemisation since stats which are good/useful/efficient for a certain class/spec tend to change every so often. Also, it’s kind of neat to get some experimental stuff. But first, a memory. I remember when agility was considered a caster stat and strength was considered a priest stat. Inner Fire gave us priest 400 Attack Power, not Spell Power or Healing Power. Cloth was itemised with both agility and strength (rogue leather and warrior plate had spirit too!). Those times of course are long gone, but they were here — and I don’t mean during beta. As a more recent example, leveling through on my new alt, I saw some maces drop which were exclusively itemised for Ret paladins. The problem is, those maces are terrible now and no Ret would use them. Blizzard reworked the class and stats which they used in the past are now irrelevant. On the same token, who is to say in the future, Ret Paladins and Death Knights won’t start using spellpower-plate at level 90, or 95 or something. It was just last expansion at level 80 Prot Paladins were using spellpower weapons and spellpower tanking gear to tank. Plus sometimes it’s cool to be different or to be a leader. I don’t know how much you pay attention to “Bigger Raid Stuff” tm, but it was recently divulged like last week of massive warrior bugs which have been in the game for months. Essentially, hit-rating was completely useless for fury warriors and crit-rating scaled them exponentially. This knowledge was known only to a _limited_ few. To the “rest of us” their gear choices were idiotic, though they knew a certain secret. I guess, in it’s own right, the random stuff is kinda cool. Oh and I think the idea of pots with expiry dates is cool. The satchels are very hit and miss… but with plate classes it can help as your drops will be plate once you reach 40. It might be helpful plate but plate nonetheless. This helps you obtain plate gear faster than from drops in instances I found. My Tauren tank was getting plate at 37 – why oh why.. I guess it was to encourage me to level her further – cause it sure wasn’t useful. I just noticed you have spiked bracers? Do I want to know why? I have a small collection of studded/spiked bracers from my goth club/metal concerts days. Maybe I’ve just been lucky, but since I’ve hit BC instances on my alt I’ve been getting loots with useful stats every time. Still always neck or gloves tho! On a side note – I came across your blog recently when it was linked to wow.com and I really enjoy it – you rock! I do like the fact that the items that drop from the sachel are mainly gloves and necklaces – which are the two items I typically need to upgrade. I have BOA chest, weapon, shoulders and trinket – so if these dropped from the sachel I would have no need for them. Gloves and necklaces however were exactly what I needed. Half the boss drops that I can use (levelling a bear tank) are SHOULDERS. So depressing with my heirloom gear on. I need to pay more attention to greens as my chest (still not an heirloom) and my bracers really seem to lag (while I have 10 identical pairs of gloves and necklaces).